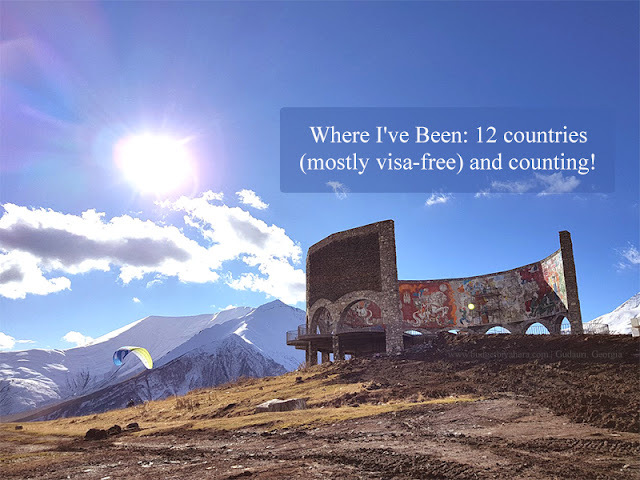 Where I've been: 12 countries (mostly visa-free) and counting! I promised myself that I would visit a foreign country yearly. And I'm grateful that I've managed to keep my word all these years. To share snippets of my adventures, here’s a rundown on the 12 countries that I’ve been to (mostly visa-free for Philippine passport holders) for the past decade. With the help of a few complimentary Hong Kong maps, my Kuya and I were able to explore the city efficiently. The MTR and buses were so convenient to find that it made our commute a smooth ride. We were also able to visit the Venetian Hotel in Macau (for a brief moment) through their free shuttle at the Macau Port. Here, we were able to try some of the slot machines in the Venetian before calling it a day. It was the F1 season in Singapore during our vacation in September 2008. My boyfriend (now husband) and I were saddened about visiting a week early. But the good part about it was that we saw the actual tracks and sidelines without interruption. While in the city, we were also able to visit the Science Discovery Centre, Snow City, Night Safari, Bugis Junction, Sim Lim Square, Mustafa Centre and Sentosa. The malls were worth exploring too. Those that we were able to hit were Causeway Point Mall, Suntec Mall, Esplanade Mall, Vivo City, Far East Plaza, Takashimaya, Wisma Atria and Lucky Plaza (known for The House of Condom). When we revisited Singapore in 2011, we were finally able to explore Universal Studios Singapore, the Marina Bay Sand Hotel, the Esplanade and the Helix Bridge. My best friend and I went on our first trip together to Bangkok to celebrate her birthday. We stayed at Sawasdee Inn on Khao San Road, where most of the touristy sites were located. We also booked most of our tours through Great Bangkok Travel and Co. Bookings (Grand Palace with Wat Po Temple tour and Night Cruise). Khao San Road, which is a backpacker's haven, was packed with cheap things to buy during nighttime (Bangkok is known for their night markets). We also got to shop at the Platinum Fashion Mall and were able to explore several gem galleries in the city and in Pattaya. Revisiting Hong Kong and Macau in 2010 with my boyfriend and best friend was twice the fun. I was able to bring them to some of the sites that I’ve been to plus others more, which they equally enjoyed. The guesthouse where we stayed at (Anne Black Guesthouse) was just a 10-minute walk to the Yau Ma Tei Station. Some of the places that we explored were the IFC mall, The Landmark, The Galleria, Prince’s Building and Alexandra House. While it wasn't my first time to see the Peak, it was my first time to enter the Madame Tussaud Wax Museum, which housed a lot of influential figures. Of course, visiting Hong Kong will not be the same without doing some shopping. We went to explore the areas of Queens Road Central & Des Voeux Central where we found the best deals from H & M, Ray-Ban, Esprit, and RVCA. We also had dinner at a hawker shop in Stanley Street, had drinks at Lan Kwai Fong, and shopped some more in Mongkok and Argyle Street. We also tried the NGONG PING 360 cable car ride, got to experience the Walking w/Buddha and Monkey’s Tale tour, and the NGONG PING VILLAGE Sightseeing tour, where the Giant Buddha was located. We allotted an entire day to also explore Shenzhen, which we reached via MTR to LO WU (HK)/Luohu (Shenzhen border). We transited to Shenzhen with a group that shared only one visa. On this short trip, we were able to experience the Jade and Pearl Market Tour, got to sample some local delicacies from a few Chinese shops and made a final stop at the famous Window of the World theme park. We ended the day by crossing the border and made it in time for the Symphony of Lights Show at Victoria Harbour. We ended our last day in Hong Kong by visiting Stanley Bay for brunch before heading back to the Airport. My cousin, who was invited to the 2011 Jeonju International Film Festival, premiered his film: THIRD WORLD HAPPY (under Cinema One Originals 2010 films) in South Korea. Fortunately, my brother Choy and I were able to tag along. Now, it wasn't just all about work. We also made time to explore the areas nearby like the Cinema Street, Geaksa House, and Bukchon Hanok Village. We also made sure to sample as much Korean food as we could, so we tried dishes like the Samgyeopsal and Gamjatang. Visiting Vietnam, particularly Saigon, was on my bucket list. My husband and I were able to wander around Ho Chi Minh City at our own pace. We fell in love with the places that we discovered and enjoyed the local food that we sampled. If you're looking for cheap finds and delicious street food, go to Ben Thanh Market and Saigon Square (where we bought most of our souvenirs). It's a must for you to hang out at Búi Vién, and drink a few beers by the sidewalk. The cheapest bottle (but quite delicious) will only cost you around VND10,000 - VND 25,000 each (PHP20 - P50). A tour around the city usually consists of the following sites: War Remnant Museum, Thien Hau Pagoda, Binh Tay Market, Reunification Palace, Notre Dame Cathedral, General Post Office, Bitexco Financial Tower, Saigon River, Opera House, Rex Hotel and the City Hall. We weren't able to see the last three spots during the day. Thankfully, we found them at their most radiant forms during our DIY evening exploration. I had no immediate plans to visit Malaysia. But I included it on my travel list because I wanted to see the iconic Petronas Twin Towers in Kuala Lumpur. Yes, I've heard and read about the country and its rich culture. But I didn't give it that much thought. But when my Filipino friends urged me to visit their second home, I gave it a go and was not left disappointed. Malaysia, let alone its lovely cities and states, has genuinely kept me in awe. Malaysia, being the melting pot of religions, hosts a friendly and multiracial community. In our time in Kuala Lumpur and Penang, we witnessed how the society lived harmoniously despite being so diverse. Our trip to KL gave us the chance to see the Petronas Twin Towers, Batu Caves, Berjaya Times Square (8th largest building in the world) and Kasturi Walk. We also got to try Nando’s Peri-Peri Chicken, and some Nasi Goreng at 77 Es Teler Juara Indonesia and Jalan Alor. As for shopping, Suria KLCC, Bukit Bintang, Central Market, Pavilion Mall, and Petaling Street (also known as Chinatown) were our go-to places. Penang, on the other hand (Pearl of the Orient), is known for its remarkable heritage sites, its multiracial citizenry, and its diverse cuisines. We’ve managed to get a full experience of the heritage town by exploring its streets and tasting the local dishes. The Fried Oysters, Pork Satay, Char Koay Teow, Fried rice are a must-try. We found several of George Town's significant sites on foot like the CATHEDRAL OF THE ASSUMPTION, LITTLE INDIA, CHEAH SI SEK TEK TONG, CAMPBELL STREET, ST. GEORGE’S CHURCH, KAPITAN KELING MOSQUE, CLAN JETTIES, PENANG STATE MUSEUM, and TEOCHEW TEMPLE. We were also able to explore Penang Hill and Kek Lok Si Temple the next day. We availed of the temple tours from the hotel we stayed in (Boutique Cambo Hotel), and were only charged a total of $43 USD for two people. The Small Grand Tour Circuit cost $15, while the Grand Tour Circuit with Banteay Srei side trip cost $28. The Small Tour Circuit is a must-see when in Siem Reap. Some of the temples that you will see along the way are the iconic shrines of Angkor Wat, Banteay Kdei, Ta Prohm, Ta Keo and Angkor Thom. The Grand Tour Circuit also offers a view of some of the most stunning temples that I've ever seen: Pre Rup, East Mebon, Ta Som, Neak Pean, and Preah Khan. We ended our tour at Angkor Thom’s south gate, as it serves as an exit back to Angkor Wat. After temple hopping, we watched an Apsara Dance Performance and then explored the Old Market, Pub Street and Night Markets on foot. During our stay in the city, we also visited the War Museum Cambodia and the Angkor National Museum for our dose of Khmer history, culture, and heritage. My husband and I weren’t able to push through with our honeymoon in El Nido due to health reasons. So we opted to move our trip a few months later, where we decided to stay in Phuket instead. 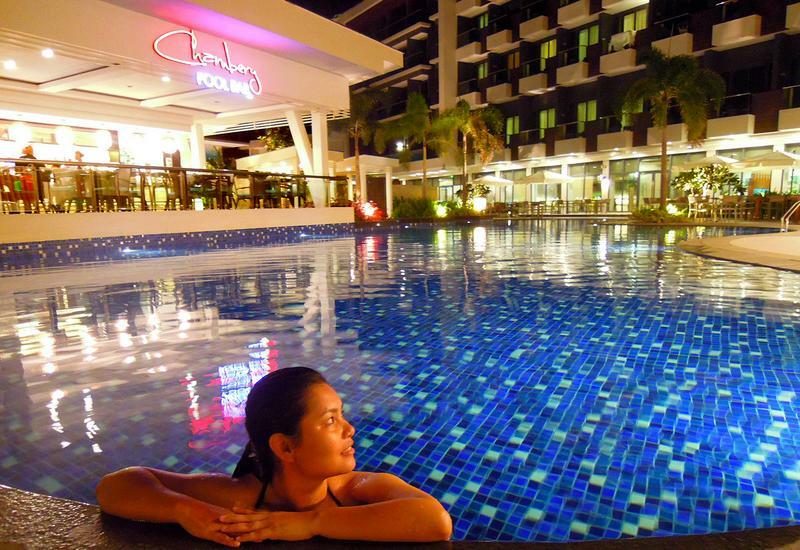 This particular Thailand city might be an expensive destination. But it was well worth the money. We had a great time just lounging by the beaches of Kata, Karon, and Patong while eating local dishes by the seaside. I stayed in the UAE for a whole month with my husband, as I needed to get some paperwork done for my residency. While we were processing my documents, my husband took me around two emirate cities. I loved my first experience flying via Emirates and also enjoyed exploring the towns of Dubai and Abu Dhabi. In Abu Dhabi, my husband’s uncle and aunt were able to take us around to see the Grand Mosque, Masdar City, Ferrari World, and the Emirates Palace Hotel. We were also able to experience the first roller coaster restaurant in the UAE (which is, unfortunately, closed permanently) and The Louvre. Georgia is a beautiful country. I would've never imagined traveling to Europe soon after settling in Dubai. I'm very grateful that I had the opportunity to do so early on. In Georgia, my husband and I were able to avail of different tours while staying in Old Tbilisi. We got to visit Gudauri where I had my first photo of the snowcapped mountains in the background. We also got to see the Jvari Monastery, which is one of the most vibrant centers of Christianity in the country. We also did a DIY city tour of Tbilisi and discovered a lot of fascinating attractions and food strips. We also had the time to see much of Kakheti where we sampled the best-tasting wines and cheese variations. We visited Singapore recently, where two of my husband's brothers' families reside. Despite our countless visits to the country, Singapore continues to be memorable because we always spent it with our loved ones. But what made our most recent trip unforgettable was our weekend escape to Bintan, Indonesia. All it took was an hour ferry ride to our destination of choice: Nirwana Resort Hotel. Our 2-night stay was a bit pricey (especially the food), but well worth it. The rooms were lovely, the views of the beach were gorgeous, the infinity pools were inviting, and the staff was all smiles. Everyone, especially the kids, had a grand time bonding over bowling and swimming. It was a great welcome. Hopefully, we get to visit more of Indonesia soon. How about you? Have you been to these destinations? What was your experience like visiting these amazing places?